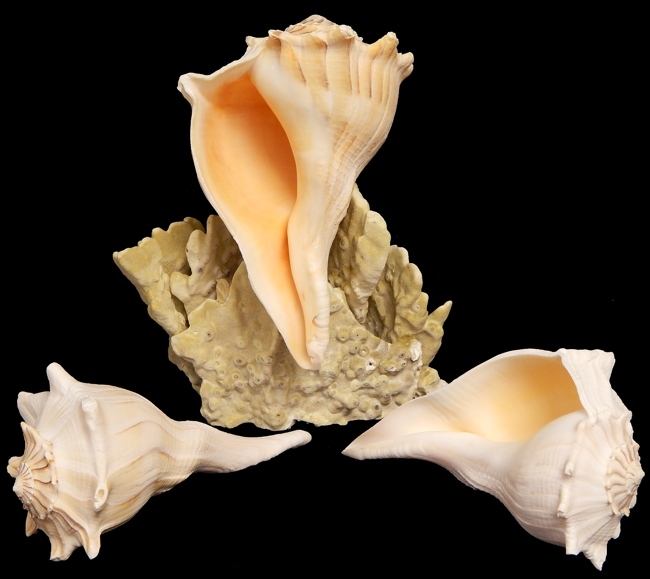 These Western Tropical Atlantic Whelks belongs to the Busycon family of shells. Most have a left hand spiral. Many have a long siphonal canal. Color can be creamy to bands of brown or streaks of various shades of brown. They prefer sandy shallow water. Scientific family Melongenidae. 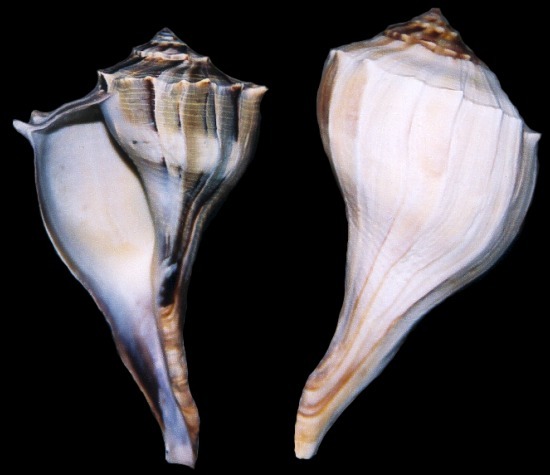 They are a commonly found shell. Average size 6 inches.